Jan. 16, 2019 marks the one year anniversary of the death of Washington State quarterback Tyler Hilinski who took his own life. An autopsy revealed that there were no drugs in his system, but he did have stage one chronic traumatic encephalopathy (CTE) a brain disease, which results in progressive destruction of brain tissue, the apparent result of repeated head trauma. CTE is currently incurable and can only be diagnosed posthumously. According to the Boston University CTE Research Center, suspected symptoms of the disease range from confusion to suicidality. Only months before Hilinski’s death, Washington Redskins defensive end Daniel Te’o-Nesheim died with a mixture of pills and alcohol in his system on Oct. 29, 2017. A Seattle Times article reported that doctors found that he had stage two CTE. Dr. Kirk Keene, a neuropathologist and CTE researcher at Harborview Medical Center strives to give hope to those who suspect they have CTE. 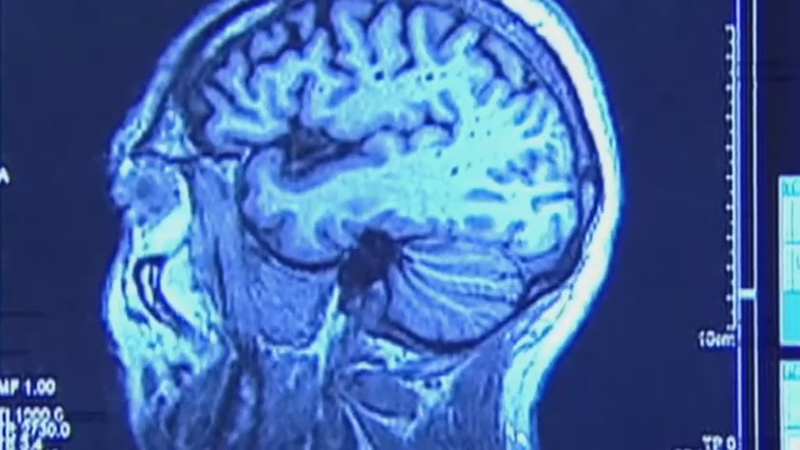 He believes those who suffered head trauma with potential symptoms of CTE, should not see alternative treatments of those symptoms as ineffective, despite the fact that CTE does not yet have a cure. According to Dr. Keene, it is difficult to say how big a part CTE played in the deaths of Hilinski and Te’o-Nesheim, as well as deaths of others who were found with the disease, regarding personality change and depression. CTE researchers are well positioned to learn more about the disease at an advanced rate because CTE shares similarities to other neurodegenerative diseases such as Parkinson’s and Alzheimer’s disease, according to Keene. Keene believes that prevention is one of the best cures for neurotrauma. Athletes should be aware of the risks football and other contact sports can pose in regards to CTE. Keene is not suggesting, however, that participation in sports should be avoided. Some football players have voluntarily withdrawn from the sport due to the threat of CTE while others withdraw to avoid other head injuries. UW football defensive back Austin Joyner retired from the sport after sustaining one too many concussions. According to Joyner his doctor made the decision for him, which was announced on Oct. 11. Joyner said the threat of CTE did not play a part in his decision to retire. Joyner also said he would not tell prospective football players to avoid the game to prevent concussions. He opined that the game was already changing for the better. “I would never say ‘Don’t play because of the risk of a head injury.’ There’s risk for everything that you do and just like the risk there’s reward, and I think the reward outweighs It.” he said. “The games already changed so much for kids coming up now versus how it was.” Joyner said. Per Reinhall, the UW’s department of mechanical engineering chair is a significant contributor to changes in sports safety. In 2013 Reinhall co-co founded the helmet company Vicis in collaboration with pediatric neurosurgeon Sam Browd, professor Jonathan Posner, and CEO Dave Marver. According to Reinhall the motivation to develop the new helmet was derived from a desire to protect young athletes. As a pediatric neurosurgeon, Sam Browd saw many sports related head trauma in young people. He approached Reinhall about collaborating to improve helmet technology. Although the goal of Vicis is to make a safer helmet, the company makes no concussion or CTE-related claims, according to Reinhall. Traditional sports helmets typically have hard shells and target preventing skull fractures. The Vicis helmet design addresses on “the forces the brain would experience during impact.” Reinhall said. The outside of the Vicis helmet is more malleable, than the traditional hard shell version and is comprised of bendable filaments, which absorb the impact of any blow to the athlete’s head. In an interview with the Seattle Times in August, Marver said, “120 professional and college teams will be wearing the ZERO1 (helmet) and more than 1,000 high school teams will use it” in 2018. According to Reinhall, Vicis has been rated one of the safest helmets and continues to be improved. Reinhall hopes that prominence of sports such as football will be upheld and the addition of this new helmet will keep athletes safe. Vititoe Law Group is committed to the improved safety of sports for all ages. If you or a loved one suffered a head injury playing in any sport, feel free to speak with a brain injury attorney for a free consultation. Call 818-991-8900 or contact us online.